I’m extremely excited with k-dramas lineup in the second quarter of 2015! It seemed like the producers were trying to mend k-dramas viewers’ bad time after the scarcity of good k-dramas in the first quarter. Each TV stations are offering a quite promising bill of casts, storyline, and producer-writer pair, which are most of k-dramas viewers would like to see in one production. Hopefully, these sweet promises will turn out beautiful and overcome the viewers’ hunger for good show in dramaland. 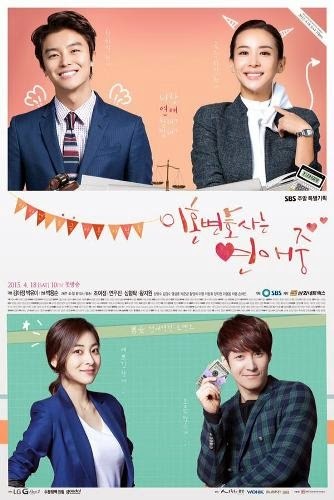 Among list of upcoming k-dramas that I’m excited with are Divorce Lawyer in Love and School 2015, which will greet k-drama viewers in the next few days! Ko Cheok Hee (Jo Yeo Jung) is an unscrupulous divorce attorney who will do whatever it takes to get what she wants for her clients. Her office manager, So Jung Woo (Yun Woo Jin) doesn’t hold back his opinions and criticizes everything that Cheok Hee does wrong, and the two constantly bicker and collide. Ultimately, the two can’t stand each other and Jung Woo leaves his job and ends up going to law school and also becomes a divorce attorney. Years later, Cheok Hee gets her legal license suspended because of professional misconduct. When she runs into Jeong Woo, she goes to work for his law office as his office manager. With the tables now turned, can Cheok Hee survive the abuse she gets from her new boss? Hate-to-Love relationship is one of the common cliché plotlines viewers used to see in kdramaland and Divorce Lawyer in Love appears to take this kind of premise. As much as I love the cliché and guessable storyline, I think compared to other k-dramas lineup in the second quarter of this year, this drama seems to be short of something different. However, Divorce Lawyer in Love could be a good choice to watch if viewer wants something light and cute. I think the bickering and argumentation between two beautiful people will be the main attraction of the drama aside from the blooming love between lawyers. In spite of lack something new and different in plotline, I’m still super excited for the drama because it has Yun Woo Jin! 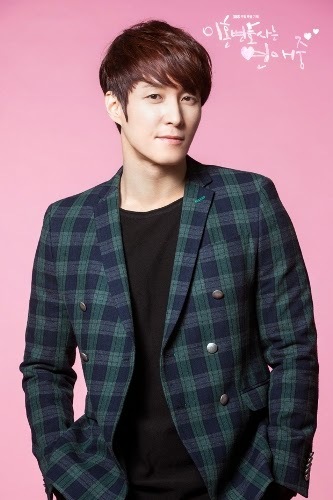 I’ve been setting my eyes on this gorgeous fella since he played the antagonist role in Arang and The Magistrate. I’m so happy after knowing that he will become the male lead in this drama. 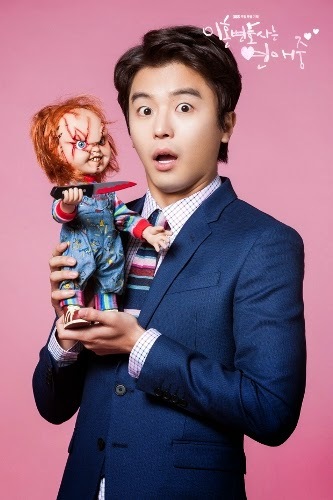 After delivered a pretty solid leading role performance in Marriage without Dating (MWD), I think Yun Jin Woo will repeat his success in this show. However, I’m a bit worried that he will resemble the same character with what he did in MWD. I wish he will do something different with So Jung Woo and revive an annoying and childish yet smart and kindhearted lawyer character. As for the other casts, I must admit that I’m a bit disappointed with production team’s decision to pick Jo Yeo Jung for the leading lady role. Isn’t she too old for Yun Jin Woo? Sure, she’s known as one of the romantic comedy queens, and I love her performance in I Need Romance, but still, pairing her with Jin Woo is something odd (I think). Even though the age difference between these two beautiful human being is small (Jeon Yeo Jung born in 1981, while Yun Jin Woo in 1984), Yun Jin Woo still looks like he can pull of a college student character with that face and body. I think the second female lead, Wang Ji Won, would be the perfect match for Yun Jin Woo. But hopefully my verdict is wrong and the production team as well as Jo Yeo Jung can prove that she’s the perfect match for Yun Jin Woo in this show. Talking about the second lead, I’m also looking forward for Wang Ji Won’s performance, especially when it looked like she will play a strong and independent lawyer character. Wang Ji Won has the face and personality for that kind of character. As for Shim Hyung Tak, I have nothing much to say because I never watched his previous dramas or movies. 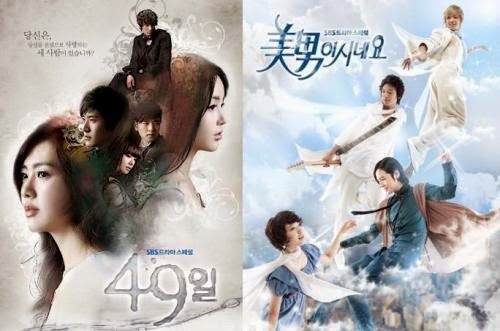 Meanwhile from the production team side, I learned that the director Park Yong Soon was one of the two directors who have brought 49Days to k-drama viewers’ plate few years ago. He was also the assistant director for He’s Beautiful. Based on his two previous works, I hope he will give viewers a tremendous work of art and repeat his success. 2. School 2015: Who Are You? Segang High School is a top school located in Gangnam District, Seoul. One of the students, Lee Eun Bi (Kim So Hyun), wake up one day without knowing who she was. After find out that she used to be bullied, she changes herself and becomes popular. She then tries to recover her lost memories, and in the process, discovers the hidden truths behind her famous school. School dramas will be one of the promising themed-dramas to be watched for in the second quarter of 2015. 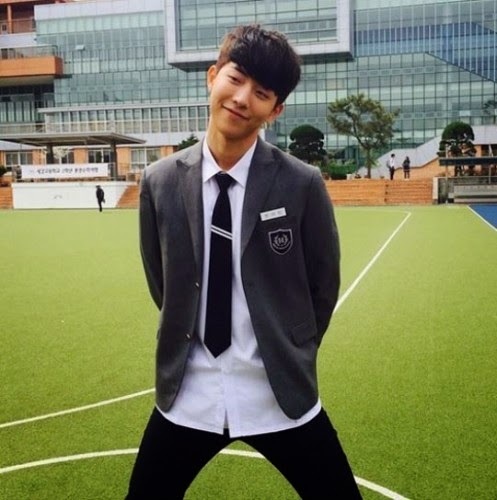 I’m really looking forward for School 2015, especially when I haven’t watched the other School series. Actually, I’m planning to watch School 2013 but because of the upcoming dramas looked more appealing, I decided to postpone it. I’ve always put my interest high for school-themed dramas. Coming from the popular School series, I hope School 2015 will repeat the success of its predecessors. The Cinderella-plot (from unpopular girl to popular girl) is somehow a bit cliché, but the hidden truths and the possibility of something rotten inside a famous school look interesting. The up and down of teenagers’ life as well as the sweet memories of high school are among other reasons why this drama considered interesting. 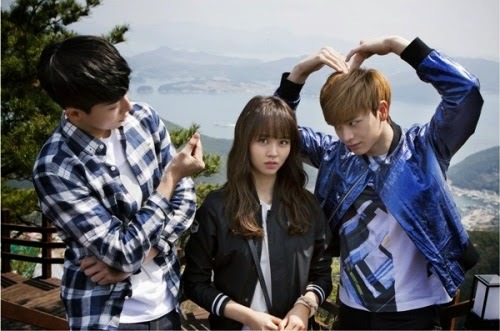 As for the love line, I’m not putting my hope high for this because the love story between a newly popular girl with school Casanova (Nam Joo Hyuk) and school fun friends (Yook Sung Jae) look common. However, what interesting is the fact that the production team did not accentuate one of the male lead characters, which will probably make viewer guess which one of these gorgeous boys that will end up with the female lead. I’m thrilled with Nam Joo Hyuk’s appearance in this series. I’ve been waiting for his other appearance in kdramaland after his delightful and funny performance in Surplus Princess. Glad to know that he will take the leading role at last. I hope this drama will shoot him into stardom and make him a well-known model-actor, just like what the School 2013 did to his seniors Kim Woo Bin and Lee Jong Suk. I’m also happy with his character as Han Yi Ahn (Ian). He will play the typical male lead character in k-dramas. Ha Yo Ahn is a swimming star that has attracted media and public attention. Regardless of his cold appearance on the outside, Han Yi Ahn is actually a kindhearted man. As for Yook Sung Jae, frankly I have nothing much to say about him because I never watched his acting before. However, his character as everybody’s friends and free spirit guy in this show seems promising and fun to watch, especially when this character equipped with his gorgeous smile and lovely eye gaze. Aside from the above reasons, I’m also super excited for the appearance of Lee Pil Mo. I’ve idolized him since Emergency Couple-era and I think his role as Math teacher in the drama is interesting. I hope the scriptwriter will make a beautiful love story for this charming man because in all of his dramas I watched, I never see him ended up with the girl he loved. Yes, he did end up with Lee Yu Bi in Pinocchio but I want more! Meanwhile from the production team side, I’m happy to know that the director, Baek Sang Hoon, is also the director of a popular drama Secret Love! I hope Director Baek will bring out his “Midas touch” for this show and repeat his success.